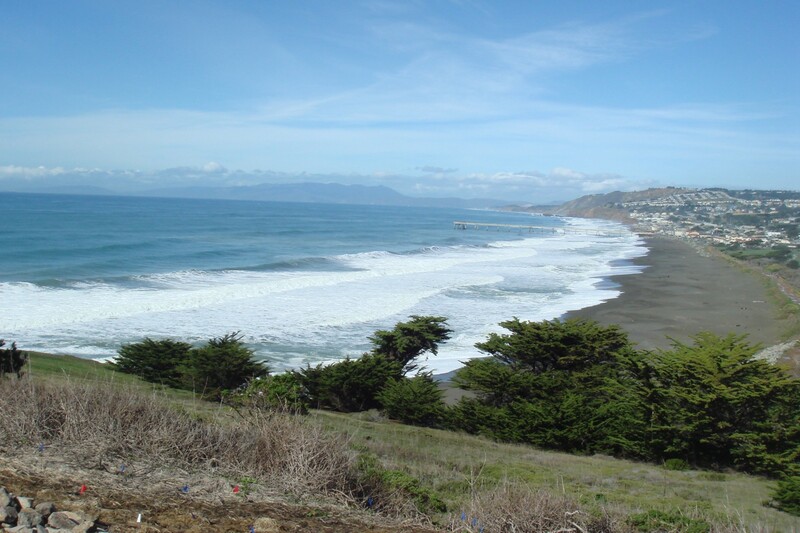 Sharp Park Beach extends along the waterfront on either side of Pacifica’s 1,140-foot long municipal pier, one of the most popular fishing sites along the coast. Little sand is exposed to north of the pier. On the south end, a long strand of black sandy beach lies adjacent to Sharp Park Golf Course, and extends to the Golden Gate National Recreation Area’s Mori Point. 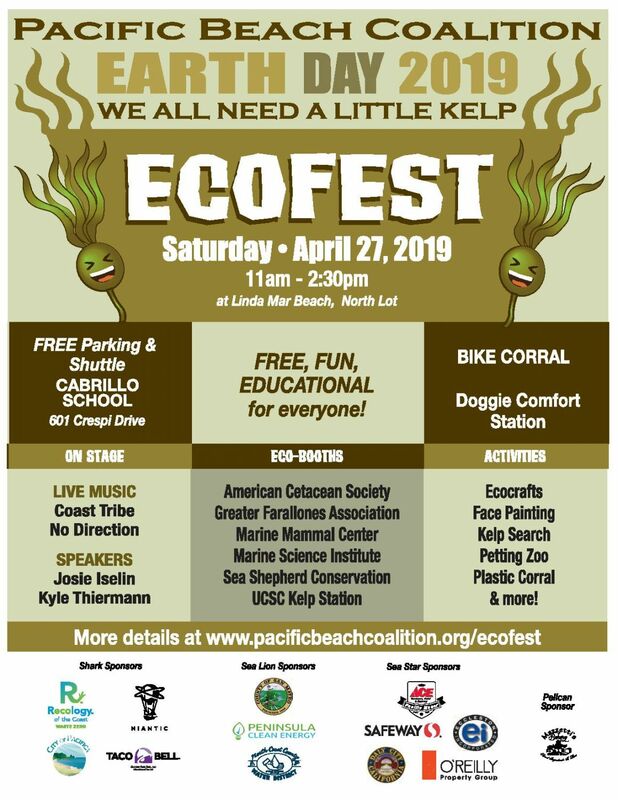 Teeming with wildlife, seabirds and spring wildflowers, the area features the Coastal Trail along the berm between the beach, Laguna Salada wetlands (critical habitat for the endangered San Francisco garter snake and California red-legged frog), and the golf course. Visitors should use caution as the surf and rip currents have a reputation to be powerful and dangerous. Time: Second Saturday of the month from 9am-11am. Check our online monthly calendar for exact dates. Rain may cancel cleanup. If you’ve registered in advance, you’ll receive a cancellation notice. If you have not registered, check our calendar for the latest information. Where to Meet: At the corner of Beach Blvd and Clarendon at the start of the Levee. Parking: Street parking is free. Cleanup Areas: Volunteers clean the beach, streets, parking lots, the pier and the promenade. 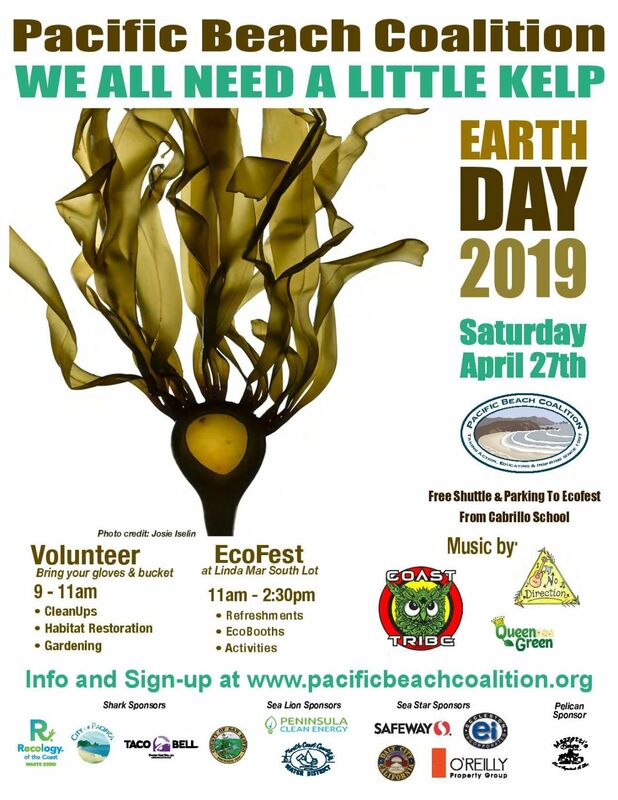 Litter: Expect picking up small pieces of styrofoam, cigarette butts, bottles, cans and plastic trash from this popular beach site. Restrooms: Yes. Located at the pier down the street from the meetup spot at Beach Boulevard and Clarendon. Dogs: Permitted on leash on beach; prohibited on pier. Please be responsible and pick up your dog waste. 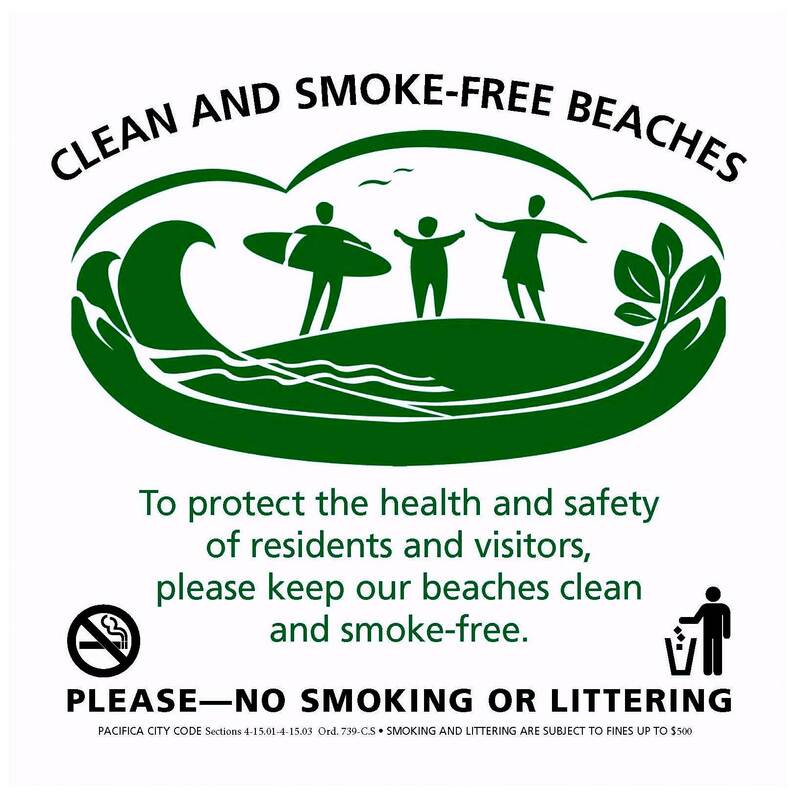 Smoking: Prohibited on beach. 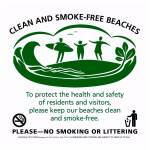 Sharp Park Beach and the Pacifica Pier are smoke-free zones under City of Pacifica ordinance subject to fines for violation since 2006. 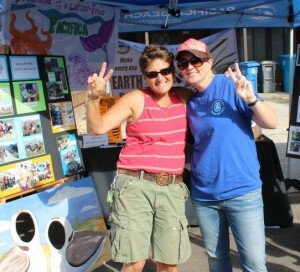 Read About the Team in Action: Check out the Sharp Park Beach Blog.